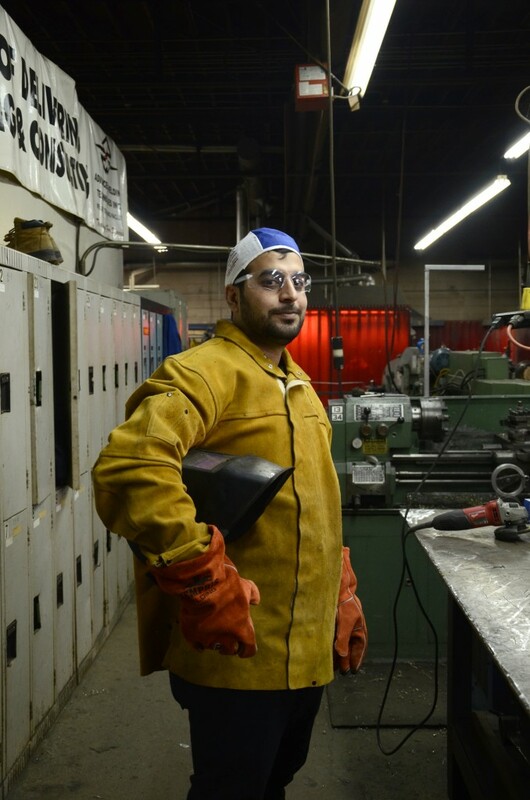 Mohamad Alshami is a professional welder from Syria – and is ready to launch in the Hamilton workforce. He’s worked for 10 years doing oil pipeline welding and heavy equipment repair. He comes from a long line of welders – his father was a welder, his grandfather was a welder – his great grandfather too. Their family business that was once very successful – is now in ruins. Welders from WorkLINC went for a welding assessment at Advanced Welding Techniques to have their skills tested to Canadian standards. “The house, the auto shop, everything has been raided and bombed,” he explained, translated from Arabic. 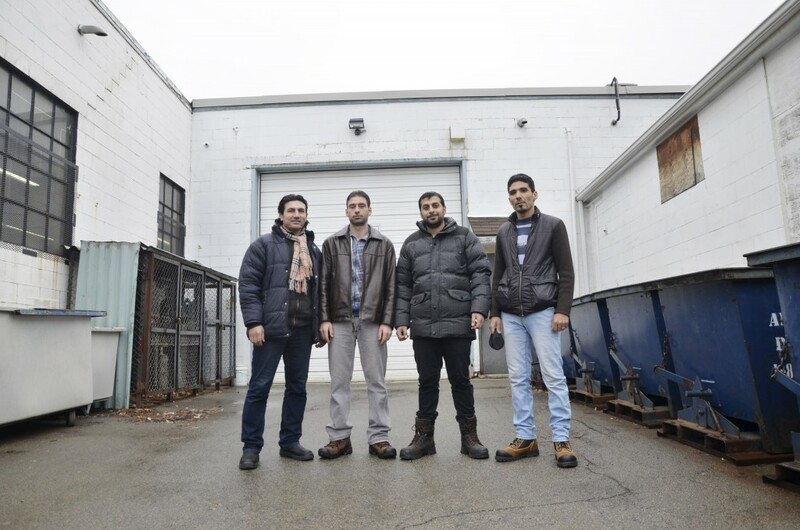 Alshami recently graduated from WorkLINC Manufacturing – a program at the Immigrants Working Centre for newcomers wanting to launch their career in Canada into the trades. Some are welders, others shoemakers, factory workers, and heavy equipment operators. All come highly skilled, eager to work in their field in Canada. Ameen Alissa worked on oil pipelines in Syria for 10 years. Upon graduation from WorkLINC, he hopes to launch his welding career in Hamilton. 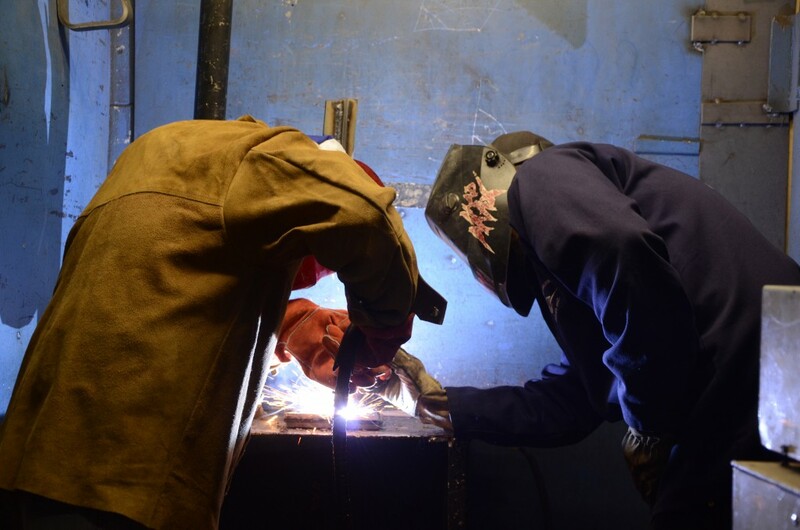 “Welding in Canada makes me feel relaxed, happy and confident – like that I have a skill that surpasses language,” explained Said Ismael (translated from Arabic), a WorkLINC participant. He had a welding business in Syria as well, designing and welding doors and windows for residential and commercial buildings for 20 years. Participants gain certification in Health & Safety and WHMIS, and have the opportunity to meeting with local employers and experts in their field. A 2014 Workopolis study found that 68% of Canadian employers are finding it difficult or very difficult to find people with the right skillset that they need to hire. 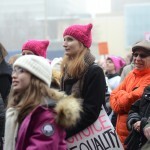 WorkLINC will assist in bridging the labour gap between Canadian employers and newcomers to Canada. For more information on WorkLINC visit our website here.